April '18 4 step complete compound and wax water-line up... looks fantastic. United Yacht Sales New Jersey would love to guide you through a personal showing of this 65' Hatteras Enclosed Fb W/ Salon/fb Stairs 1997. 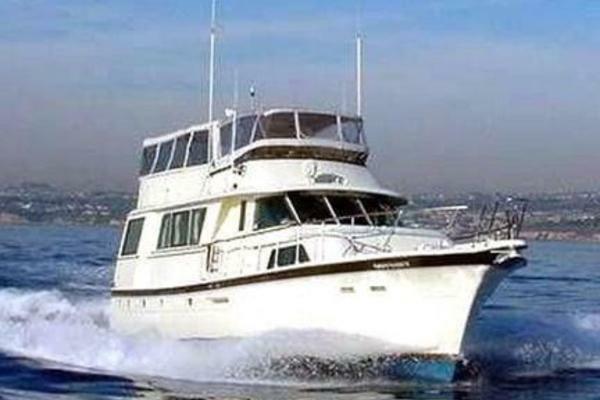 This yacht for sale is located in Fort Lauderdale, Florida and priced at $299,500. For a showing please contact us by filling out the form on this page and we will get back to you shortly! This ever-popular 65' Hatteras Convertible Enclosed Bridge boasts the redesigned stateroom layout that moved the master stateroom amidship affording total comfort. space and functionality. Her many features include an enclosed flybridge with custom interior spiral stairs , updated interior, great exterior finish, the very best in navigation and A/V equipment and loaded with every option imaginable. 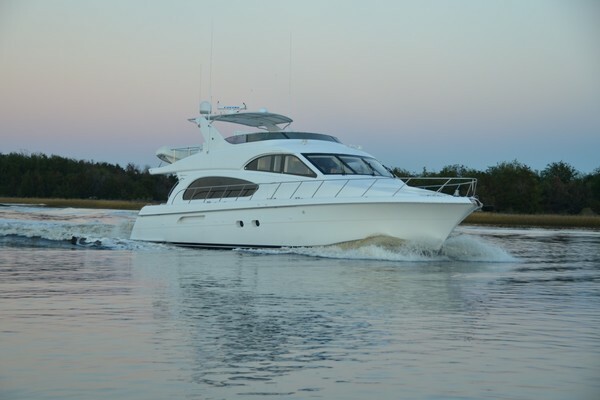 This 65' Hatteras is in incredible condition and well worth seeing! She will outperform most in rough seas or make the very best distance cruiser for extended excursions. She has under 600 hours on her main engines since overhaul. She is ready to go and priced right for a quick sale! 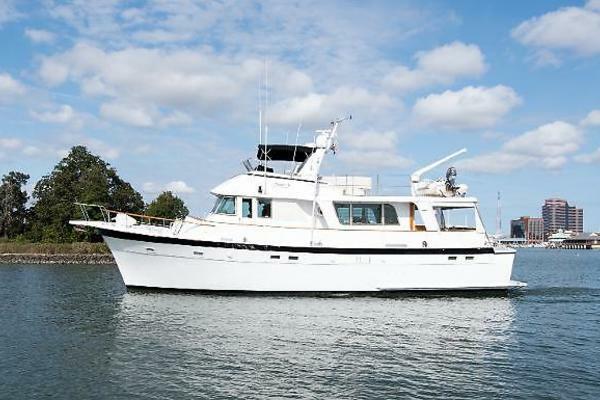 A great selling boat, the Hatteras 65 Convertible is one of the more popular sportfishing boat her size ever built. She’s a step up from the earlier Hatteras 60 Convertible—not only are her lines more aggressive, but performance was improved as well. The hull is an extended and improved version of the 60 Convertible hull with a finer entry, balsa-cored hullsides, and prop pockets to reduce draft. Her standard three-stateroom, galley-up layout is highlighted by a spacious, beautifully appointed salon. (An alternate floorplan with an enlarged owner’s stateroom and low-profile galley became available in 1996.) With 183 square feet of space, the cockpit was the largest to be found in a production boat this size. Topside, the enclosed flybridge is luxury on a grand scale. Aft controls assist with docking and backing down on a fish. Note the distinctive engineroom air intakes in the hullsides. Typical of Hatteras yachts this size, the engineroom is huge with good outboard access to the motors. With the 1,350hp 16V92s she will cruise at 25 knots. A total of 120 of these yachts were built. •Massive volume for access to all mechanicals• Standing headroom• Individual engine gauge panels for both mains•Twin 16V92TA DDEC's at 1450 hp/sideStarboard Eng. 585 hrs. since overhaul (total time 4635 hrs. )Port Eng. 584 hrs. since overhaul (total time 4634 hrs. )• (2) 20kW Onan gensets-remote start and soundshields#2 Starboard Gen. 5320 hrs.#1 Port Gen. 4936hrs. Exclusions include, but are not limited to, owner's personal belongings, tools and tackle. Adetailed list of items will be provided at time of closing.